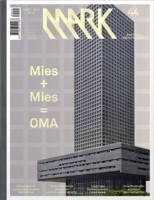 OMA in Shenzhen: OMA’s Shenzhen Stock Exchange is too simple to be copyrighted yet too distinctive to be imitated. Bryan Boyer in New York: Bryan Boyer evaluates Brickstarter and discusses the future of crowdfunding for architects. Ashton Raggatt McDougall in Melbourne / Perth: Three new buildings by ARM fit into the firm’s portfolio like the pieces of a puzzle. Micro-Apartments: Smaller than the bedsit or studio flat, the micro-apartment offers a solution for urban housing. DC Alliance in Ningbo: The design of a 1000-unit housing project in Ningbo, China, is aimed specifically at young professionals. Low Architects in Antwerp: Stijn Cockx and Tom Hindryckx combine everyday materials with extravagant details. Tense Architecture Network in Sykamino: A house by Tilemachos Andrianopoulos and Kostas Mavros reflects the forces of nature. Iwan Baan in Amsterdam: Iwan Baan casts a light on his photography, with its focus on buildings across the globe. Buchner Bründler Architekten in Switzerland: Buchner Bründler Architekten recently finished three new houses in Switzerland. We asked the firm’s clients to share their thoughts on processes and results. Franz König in Cologne: After giving architecture a try at the AA in London, Franz König returned to Germany and the family enterprise: publishing and selling books on art, architecture and design.